It’s almost party time in Fortnite. 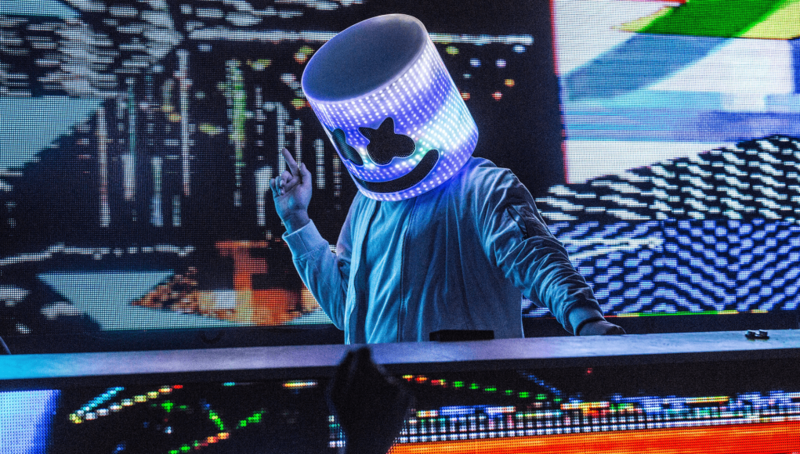 In what’s one of the worst-kept secrets Fortnite has had in quite some time, Saturday, February 2 at 2PM ET there will be a Marshmello concert in Pleasant Park. Numerous leaks came out over the past few days confirming this and even Marshmello himself confirmed it by posting it to his tour dates. For what’s it worth, Marshmello also posted the news to Twitter. Beginning yesterday players were able to head to Pleasant Park and see his stage being set up for the show. Today in Fortnite it appears advertisements will start appearing for the concert as the Showtime Challenges have gone live. The first and only challenge unlocked asks players to “Search a Showtime Poster” which will reward them with a Marshmello spray. 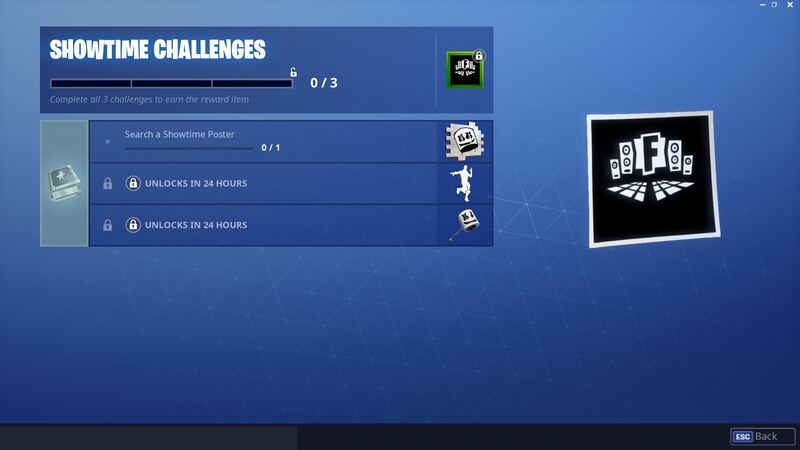 The other challenges unlock in 24 hours according to the challenges page but they will reward players with an emote and pickaxe. This seems to confirm the fact Marshmello’s model will be an in-game thing instead of being available for purchase. Of course, it is still quite early so we’ll know more about that when the event officially debuts. The Marshmello event leaks date back to a datamine from patch v7.20 which found a secret Marshmello music video in the files. This video was discovered just one day after Marshmello’s manager revealed on Instagram a collaboration was coming with Fortnite and the DJ.